UTMAGS end of year party!! 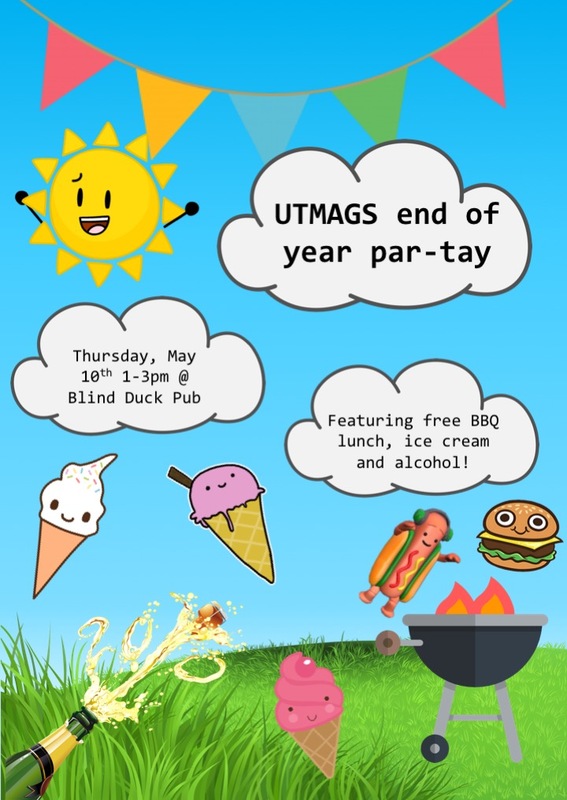 UTMAGS year-end party is being held this Thursday from 1-3pm at the Blind Duck pub! Come out for a BBQ lunch, salad, ice cream and a free drink! Hope to see everyone there! !